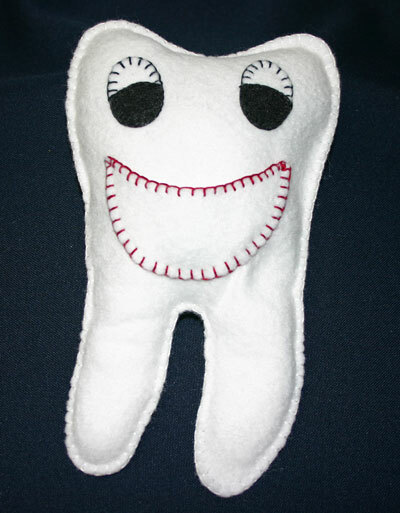 The tooth pillow, soft and cuddly Mr. Smiley Tooth, helps young children with visits to the dentist. He also serves as a tooth fairy pillow with a pocket to hold the tooth and the treasures from the tooth fairy. Mr. Smiley Tooth’s huge smile forms the pocket for a tooth that came out, for the gift from the tooth fairy or for other treasures important to children. He’s soft and can easily be held by the child during a dental visit. You can find the how-to-instructions, the materials and tools list and the pattern on our web site here: Easy Felt Crafts Tooth Pillow. 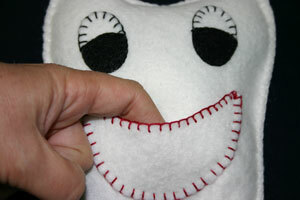 Have fun making Mr. Smiley Tooth and giving him to the young children in your life. 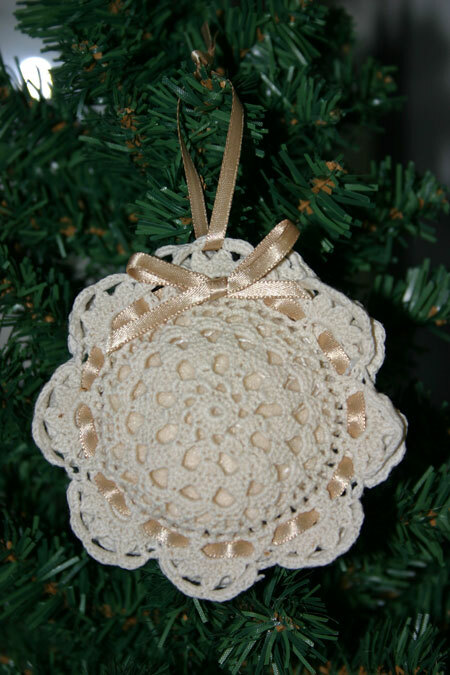 Take a look at this pretty ornament that is also a sachet for holding your choice of scent – spices for the holidays or a fresh scent for your home. 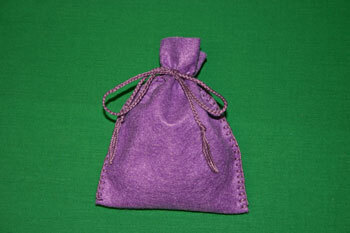 You can also use this pretty sachet year round in a closet or a drawer with your favorite scent inside the sachet. 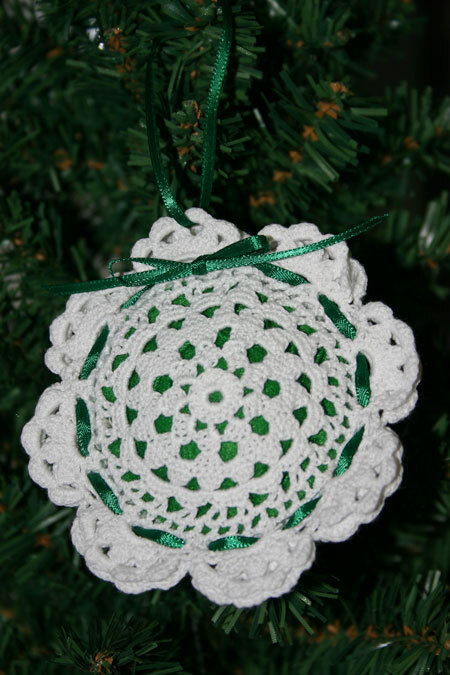 The first one shows white doilies trimmed with green ribbon. 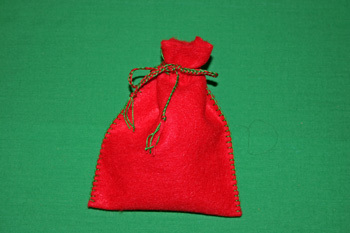 The scent pouch made of green felt can be seen through the doily. The next one shows tone on tone colors of beige. This one is reminiscent of an elegant Victorian decoration. 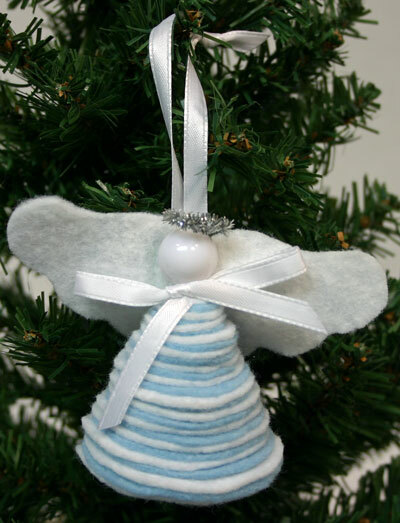 These pretty and easy Christmas ornaments are small (three inches in diameter), simple to make and inexpensive too. 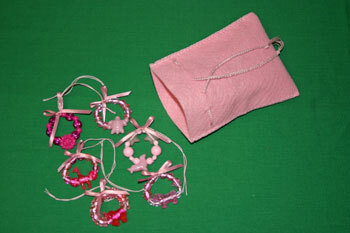 They take little time allowing you to make several for gifts, to hang on your own tree or as year long useful sachets. Here are some more fun examples of the Easy Christmas Crafts – Beaded Christmas Wreath and Easy Felt Crafts – Keepsake Gift Bag. Pretty in Pink, Purple Passion and Black Elegance will travel across the pond (otherwise known as the Atlantic ocean) to Scotland. Pretty in Pink goes to a pretty little girl who loves pink and who loves to dance. 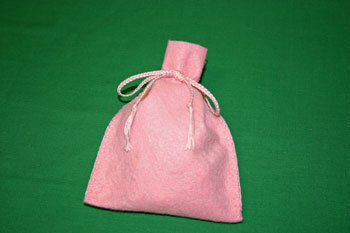 Here’s the matching pink keepsake bag. Her mom loves the color purple, thus Purple Passion for her. Her dad likes black – what better than Black Elegance? 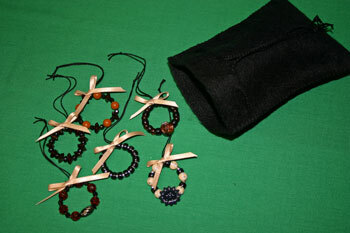 The black keepsake gift bag holds the elegant beaded Christmas wreaths. 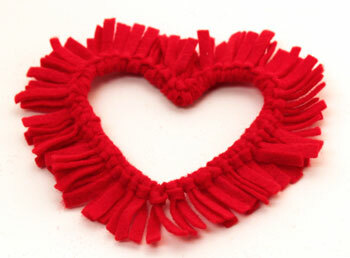 With a variety, many combinations of the beads can be made into wreaths from fun and whimsical to pretty and elegant. Plus, you can match the keepsake bags to the colors in the wreaths. But, if you want, you can contrast the colors or use holiday red, green, gold, blue and silver colors. It’s the middle of November and time to start making gifts for family and friends. Take a look at these beaded Christmas wreaths in holiday red. These beaded Christmas wreath ornaments use the same methods as found in our Easy Christmas Crafts – Beaded Christmas Wreath examples. But, for variety, we used different types of beads. The beads came in a bulk container – 1000s – with a mix of colors, sizes and shapes. 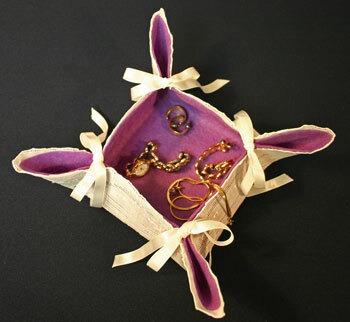 Six wreaths easily fit within the Easy Felt Crafts – Keepsake Gift Bag. Green yarn holds the sides together with the blanket stitch. For the drawstring, both green and red yarns – three of each color – make the braid. This gift journeys to a distant city via a delivery service. 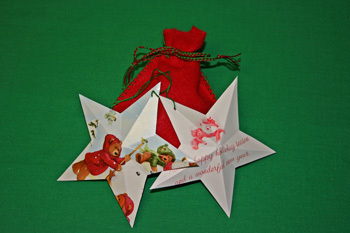 Since it will be in a box, why not send the accompanying Christmas card as an Easy Christmas Crafts – Five Point Star? What fun…six ornaments as gifts, a keepsake bag to keep them from year to year and a Christmas card that is also a five point star ornament. All of these are fun and easy crafts. Take a look at the steps for each of them. 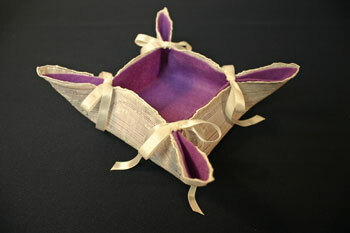 Another new addition today…we’ve added an Easy Felt Crafts – Keepsake Gift Bag. The bag can do dual duty as a gift bag and as a storage bag. 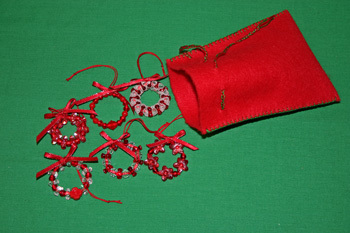 The bag is just the right size to hold the Easy Christmas Crafts – Beaded Christmas Wreath ornaments. 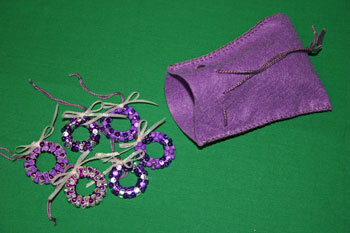 This simple and fun bag easily holds six of the small beaded wreaths. Your friends and family can receive a nice number of ornaments and have a pretty storage bag to keep them in from year to year. 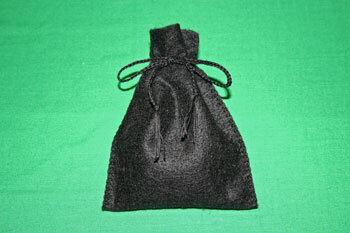 Or, the keepsake gift bag can hold Christmas candies or other small goodies – maybe some jewelry. It can also hold cinnamon and cloves to be hung on the tree for a nice holiday smell. 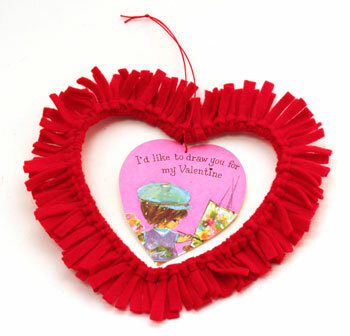 Plus, you can use this as a potpourri or sachet bag all year round.